The messiah and savior, Jesus Christ is believed to be conceived by the Holy spirit and born of a virgin. He founded Christianity, one of the most influential religions in the world and he taught people to love others and live a spiritual life. 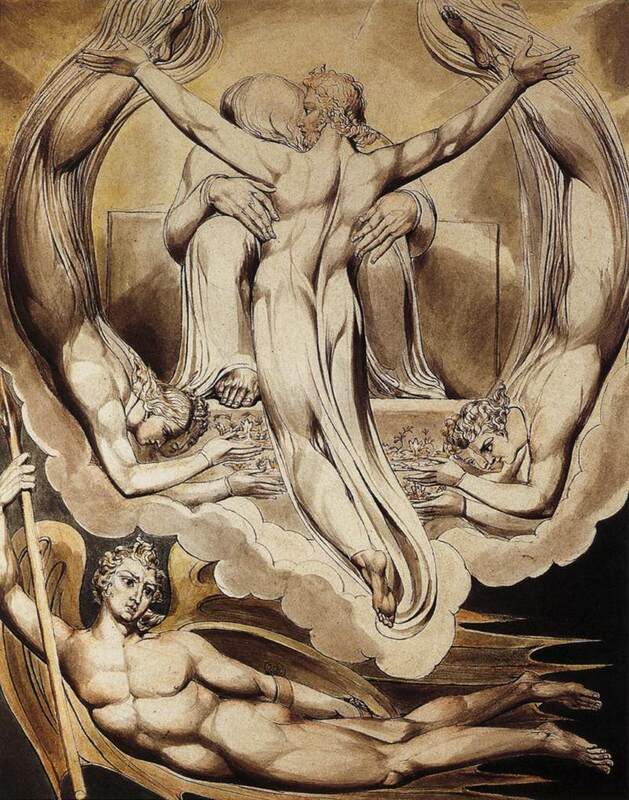 The existence of Jesus Christ has been confirmed with a wide range of depictions in Christian art. 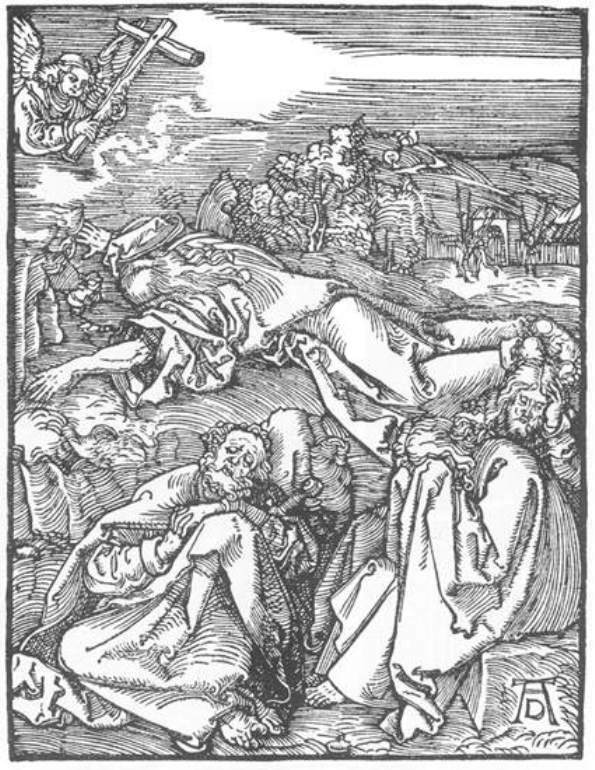 Images of Jesus Christ and scenes depicting his life from the Old testament are common in Christian art. Jesus Christ is the giver of hope and he sacrificed his life to make the world a happier place. People treasure his image with them in the form of lockets, portraits, tattoos and more. They believe that the presence of Jesus with them will keep the evil and bad spirits at bay. Among these different forms, Jesus optical illusion pictures are popular around the world. These images use the technique of optical illusion to create a spell binding effect. They range from black and white to colorful pictures with both modern and ancient mythical background. 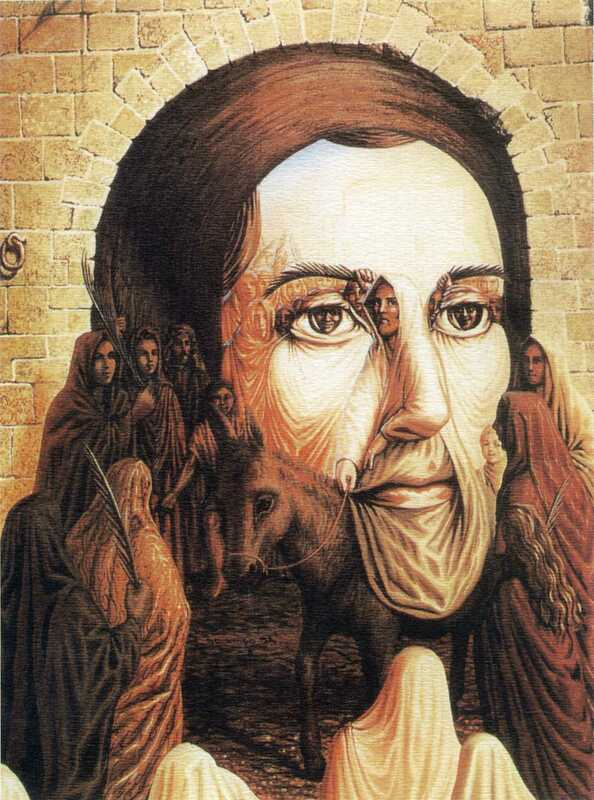 Some magnificent optical illusion pictures have Jesus’s image hidden within them and it appears when you stare at them for a few seconds. If you liked our selection, perhaps these other posts will interest you too, Nicole Scherzinger Photos, Pictures of Bubbles, Monster Energy Pictures and Mila Kunis Pictures. People on a march on a palm Sunday merge together to make the face of Jesus Christ in this amazing piece of art. 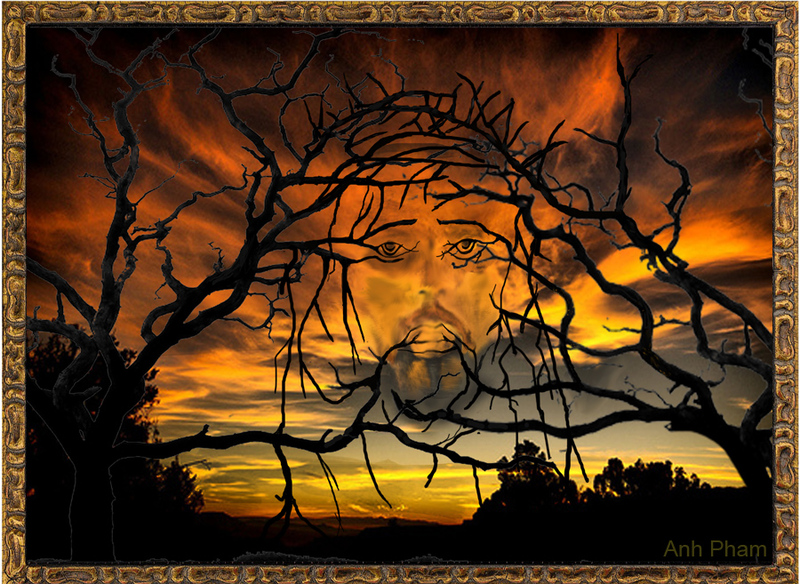 Branches of a tree forming the face of the Holy Christ is a fascinating art. Concentrate on the four small dots at the center for few seconds and then blink your eyes looking at a plain surface to get a beautiful vision of Jesus. The silhouette of Jesus looks amazing in this highly decorated wall painting. Calm and serene face of Jesus Christ will make your life filled with love, peace and harmony. Beautiful image of Jesus Christ looks adorable in attractive golden and bronze shadings. Exquisite image of Jesus Christ on a crystal block is a treasure to be kept for a lifetime. There are more than a pair of eyes looking at the terrible crucifixion of Jesus Christ in this cleverly designed picture. 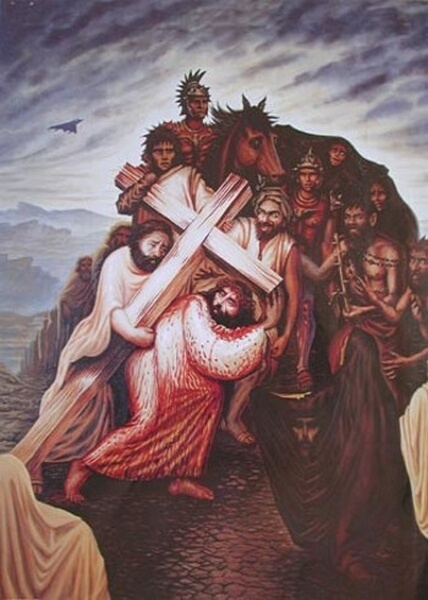 People, kings and even angels mourn the crucifixion of Jesus in this exquisite optical illusion picture. This astounding 3D picture of Jesus creates an illusion of three different images when seen from three different angles. 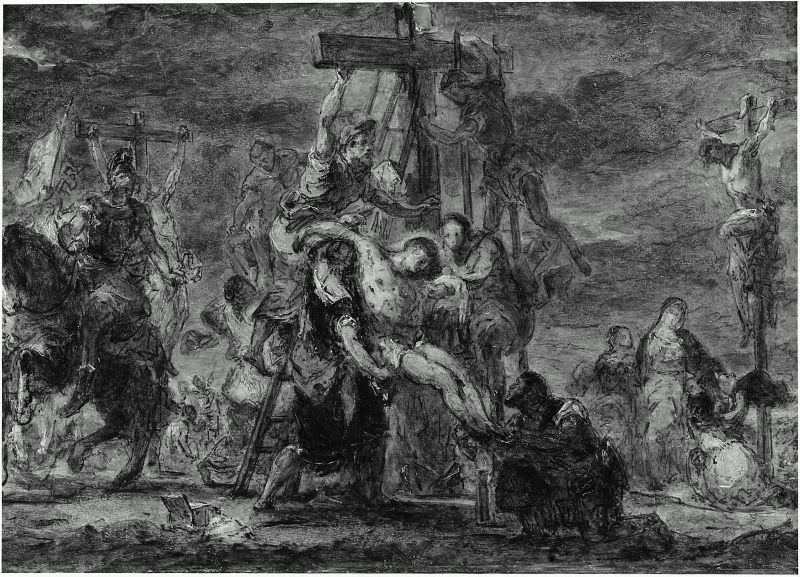 This extraordinary picture depicts the crowd around Jesus Christ while he was crucified and it creates the illusion of Jesus’s serene face. Stare at the black and white lines intently for a few seconds and see the image of Jesus appearing within the lines. 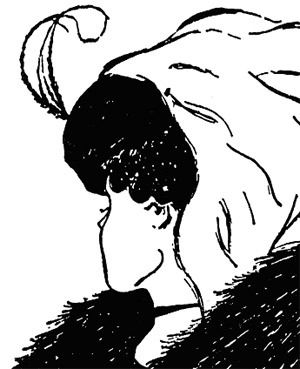 This simple black and white optical illusion picture holds an old lady and a young girl. 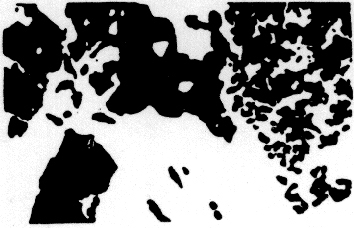 This intangible picture of black and white colors holds the image of Jesus Christ within it. Beautiful array of different colors creates an optical illusion of Jesus Christ image. Are these twin towers or vision of Jesus Christ on the cross? Stare at the four tiny dots and blink your eyes looking at a plain surface to know the answer. Beautiful waves engulf the image of Jesus in this splendid work of art. Spellbinding satellite picture of a land holds the image of Jesus Christ and proves his universal presence. Jesus’s presence can be felt everywhere and this Google Earth image proves it beyond any doubt. Beautiful golden frame with scenes depicting the life of Christ looks interesting and amazing. Intricate images of angels, people, animals and landscape combine together to form the serene face of Jesus Christ. 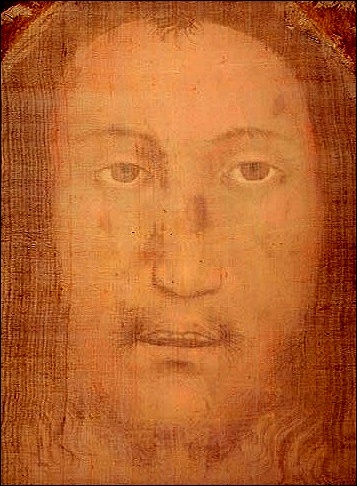 This unique image of the shroud of Turin bears the image of Jesus Christ who was in great suffering. Exquisite art covering an entire wall depicts a mythical scene and looks extraordinary. Jesus fighting with devil clearly depicts the fight between the good and bad in the world. This exquisite art creates an optical illusion of Christ as the redeemer of mankind. See the closed eyes of the Christ open as you stare at this picture for a while. 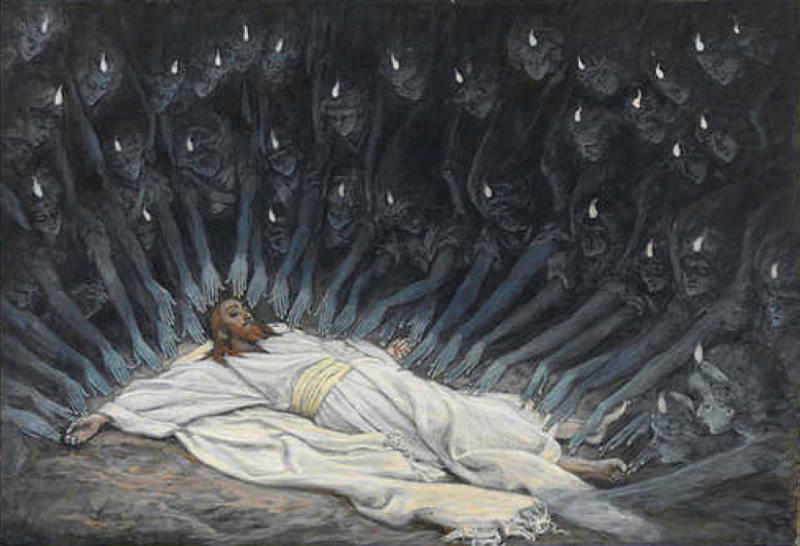 This beautiful picture depicting Jesus ministered to by angels is an amazing piece of art. Touching image of Jesus Christ looks amazing and it depicts the intensity of his crucifixion. The poignant scene of Jesus being descended from the cross is beautifully illustrated in this lovely art.